An elderly female pro-life counselor allegedly was attacked last week by a younger woman outside the only remaining abortion clinic in Kentucky, leaving the victim with a broken leg that required surgery and a bleeding head, LifeSite News reported. The outlet said Donna Durning — an almost daily sidewalk counselor for over 20 years — was outside the E.M.W. Women's Surgical Center in Louisville when a younger woman who'd been inside the clinic crossed Durning's path. Durning told LifeSiteNews the younger woman, who appeared to be in her early twenties, was heading toward a waiting car when "she turned and looked at me, and I gave her a sweet little card ... I said, 'Honey, this is for you; if you want to talk to somebody there's a phone number there.' She grabbed me by both shoulders and literally threw me to the ground." Witnesses recorded the license plate of the vehicle that drove away with the young woman inside, and other pro-life activists attended to Durning prior to an ambulance's arrival, the outlet reported. Adele Darnowski, a friend of victim, told LifeSiteNews "police who were in a car across the street immediately entered the [clinic]" and allegedly acquired surveillance tapes. Darnowski posted a photograph on Facebook of what she said was Durning's blood still on the sidewalk the following day, noting that "seventeen mothers walked over it today to go in to have their abortions. Poor dears." What did a pro-life attorney have to say? Local pro-life attorney Vince Heuser added to the outlet that he'll make sure Durning's attacker is prosecuted: "Pro-lifers do try to turn the other cheek, but beating up an old lady is not to be tolerated in anyone." As the sole remaining abortion clinic in Kentucky, E.M.W. Women's Surgical Center is a "hotbed of both pro-life witness and pro-abortion demonstrations," LifeSite News said, adding that BSideU for Life Pregnancy Center is next door to the abortion clinic. Durning added to LifeSiteNews she's usually outside the abortion clinic from 6:30 a.m. to 9:15 a.m., but on Friday she stayed the whole day to help less-experienced pro-life activists from her parish participating in 40 Days for Life. Darnowski told the outlet that the day after the alleged attack on Durning "there was a huge amount of activity" outside the clinic: "Operation Save America was there but not getting arrested that day. Two [police] cars [were] across the street. One hundred and ten of us pro-lifers including the group from Helpers of God's Precious Infants [were] across the street, and the Catholics praying the rosary, three different Protestant pastors with their megaphones, 10 or so pro-aborts taking turns playing carnival music on a boombox. ... By 8:30 p.m., 17 women had gone in." Durning is expected to make a full recovery and is undergoing five days of rehabilitation at Louisville's Nazareth Home, LifeSite News said. Pro-life activists have been getting physically attacked outside abortion clinics with what appears to be a greater degree of frequency of late. 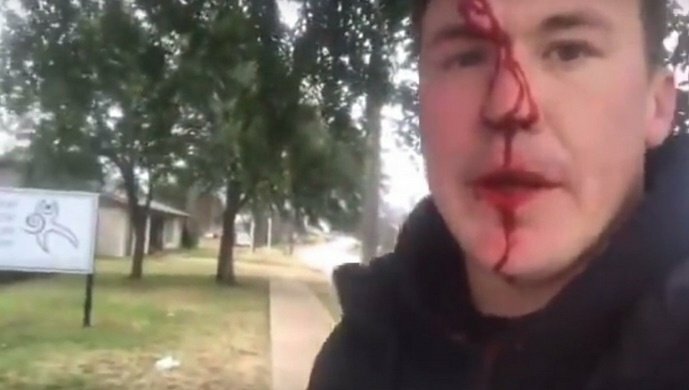 A pro-life activist in January had blood dripping down his face after getting punched by a man outside a Texas abortion clinic. What was the victim's crime? Telling the attacker that "Jesus loves you." 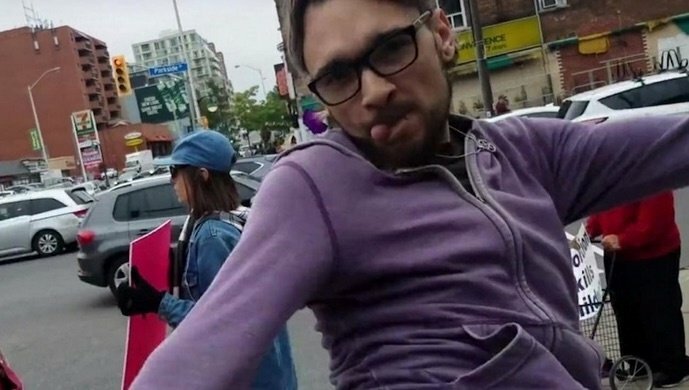 Toronto police arrested a 26-year-old man last fall for assault after a pro-life woman was "roundhouse-kicked" on a street corner during a silent protest. A younger man was caught on video tossing an elderly pro-life demonstrator to the sidewalk in front of a San Francisco Planned Parenthood in March after the victim apparently tried to take back his banner. As the attacker kicked the victim, he's heard saying, "Old man, stay on the ground!" OH COME ON. stop with the propaganda. please tell us how pushing a person, broke her leg? the "elderly' woman should mind her own business. what a biased article. this woman"sweetly' offered her a cars. seriously? those fools who picket a clinic are not "sweet. heres a hint to pro-lifers" MYOB. GET A LIFE.